What is your past time guys? No really! What do you do to pass your time when you are sitting in front of your computer and have access to the internet. I would say what I have mostly seen ;the guys watch a lot of YouTube videos and the girls open up online shopping portals and browse through the collections! I am no different I do the same just a little bit differently. I have mostly seen girls do that for clothes or maybe makeup but I always, well , 80 percent of the times am on the sites with jeweleries! Online jewellery shopping, no , no window shopping is the easiest way to see the new designs and be updated on the prices etc! I love diamond jewellery, I mean which girl does not!? So, when I want to think that I would like to buy a diamond earring or something of that sort I go online, search for pretty, pretty designs ! And while I was at it I found out a new online jewellery store called Candere! Candere means to shine, to glow and what is better than some beautiful gold jewellery to make a women shine out and the happiness of wearing the beautiful ornaments makes a women glow from the within. I love some of their pieces, they have a large collection of earring and rings and everything you might want to buy! You want shiny diamonds, you say!? They have that too! 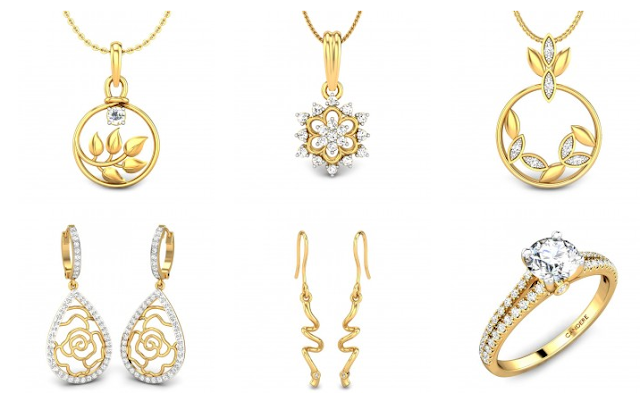 Or even if you are looking for pure gold jeweleries or Indian jewelries you will not be disappointed then as well! They have a variety of designs and the best thing is they have traditional as well as modern designs in their collection and the products are pure because they are certified! It would be better now if I leave you with the vast collection of Candere so that you can explore by yourself and choose what you like. Some of my favorite diamond jewelleries from Candere are below. I love that they have their name engraved in each of the piece they have, this gives it a classy and Cartier like feeling! Don't you agree! And I haven’t told you the best part yet! So what are you waiting for! 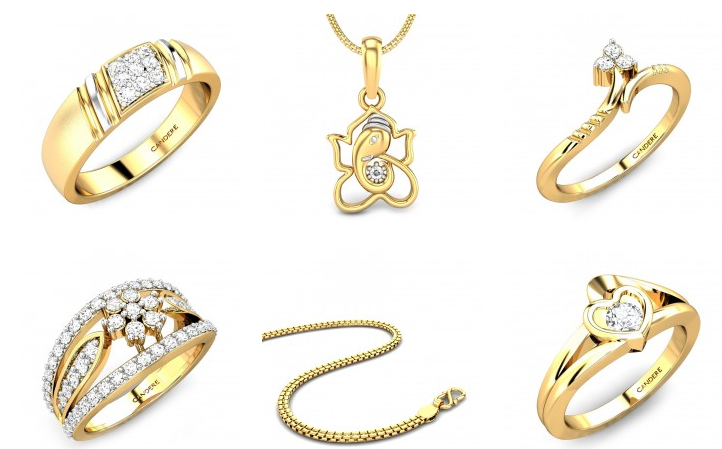 Visit the latest online jewellery shopping site in India!